The Nucano Smart Door Chime is so much more than just a door chime. 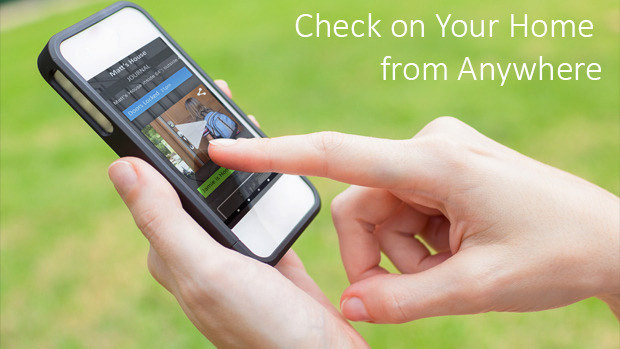 There are several door bells out there that will let your phone know if someone is at the door. There are several camera systems that will let you see who’s at the door and with the advances in wifi devices, you can see that person from your phone. But that doesn’t even scratch the surface when talking about the Nucano Smart Door Chime. Nucano sits at the epicenter of your complete home automation system. Matt Cupal, the cofounder of Nucano dubs the device “a home intelligence system” and it really is. Sure you have the basics, someone rings the doorbell and you can see who’s at the door, answer the door and if you have smart locks, unlock the door. But in the words of the infamous Billy Mays “but wait there’s more” and a whole lot more at that. Nucano can be tied into your smart home system and based on your geolocation prepare your home for your arrival. The Nucano can signal your smart thermostat to set a comfortable temperature, open the garage door, turn on the lights and anything else that your smart home is set up to do. It’s also a great security device. Nucano can sense when your house is being broken into. It can alert your smartphone, sound the alarm and turn the lights on. The Nucano Smart Door Chime is in essence a smart home hub. When combined with the Nucano app it can be programmed to support locks, lights, sensors, thermostats, cameras, powers, music and other media devices. Nucano is set up to work with over 1,000 existing devices. The other key piece to Nucano is the Nucano app. You can create actions which are like pre-established programs for your normal work week, the weekend or even while you’re away on vacation. Nucano also has a community of users where you can share your actions, or evaluate someone else’s actions and use them yourself. Nucano actions are like the IFTTT for your home (if this then that). You can select an action, like the door bell being rung .From there you can tell your Nucano system to play a song, and send the video feed directly to your home. You can tell Nucano if your door is broken into, send an alert to your phone, sound the alarm, turn on the lights and notify the police. The possibilities are endless. Nucano isn’t going to break your bank either. 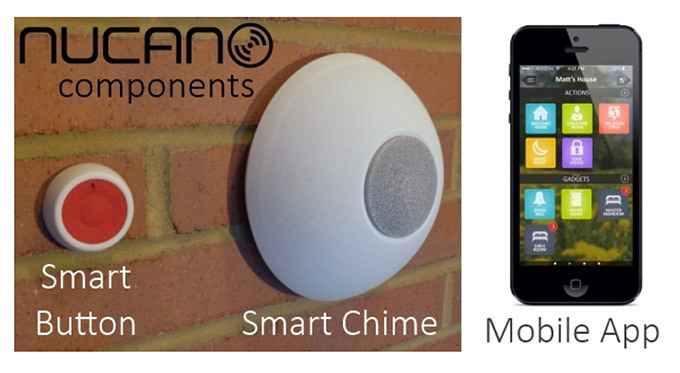 You can pre-order a Nucano smart door chime and a Nucano smart button for just $115 now on Kickstarter. But hurry they only have 12 days to go.